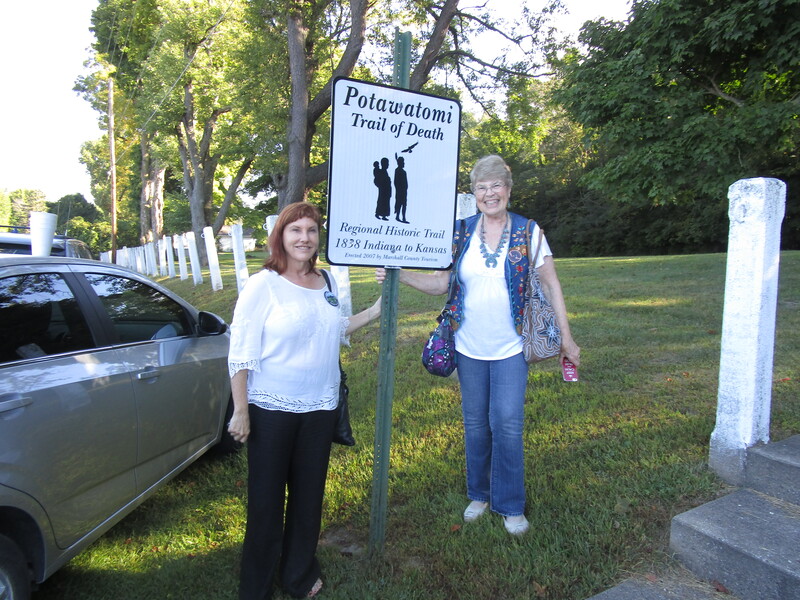 One of the most personally moving parts of the my recent journey, participating in the Commemorative Trail of Death Caravan occurred right after we left the ceremony at the Menominee statue. Close by is one of the historical highway signs, marking the route the Potawatomi took on their journey. The logo on this sign was designed by my son, David Anderson several years ago. 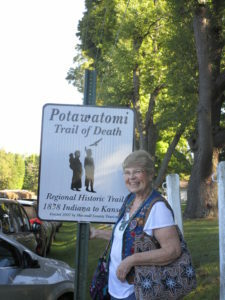 This silhouette image of a Potawatomi man, woman and child with an eagle flying overhead, is on all 150 Trail of Death highway signs across the states of Indiana, Illinois, Missouri and Kansas. It speaks to my heart that this image created by my artist son greets thousands of residents and tourists every year, a reminder that we all are called to be family, to honor and respect one another.